This photo, from 1973, shows it in its original location next to the tracks. 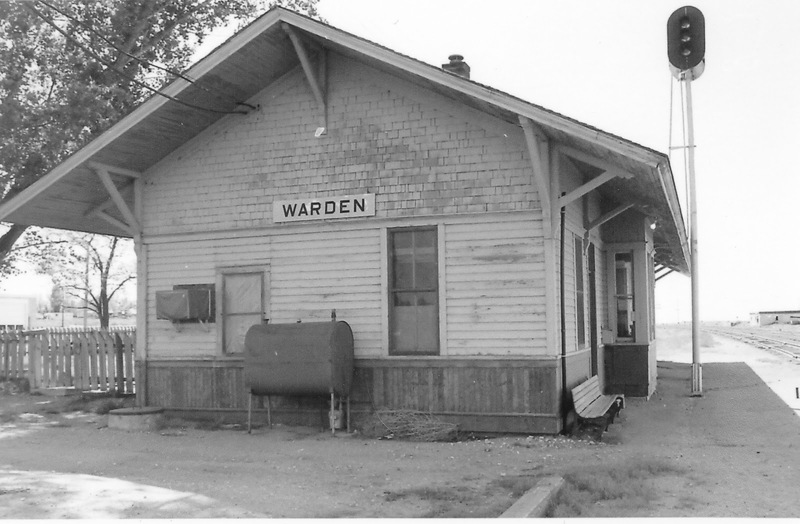 Warden was the junction for the branch to Moses Lake and Marcellus. Note the rear window has been lowered, indicating that the ceilings in the living area of the depot have been lowered to reduce heating costs. The depot in Warden survives today, thanks to the hard efforts of a few people to move it. It was to be turned into a museum, but for now waits, due to lack of interest, a few blocks from the tracks.